A newly released report from the state ombudsman’s office reveals in new detail dysfunction and abuse at the Alaska Psychiatric Institute in the months leading up to the state’s decision to pursue privatizing the hospital, including one incident in which a patient was raped in a TV room. 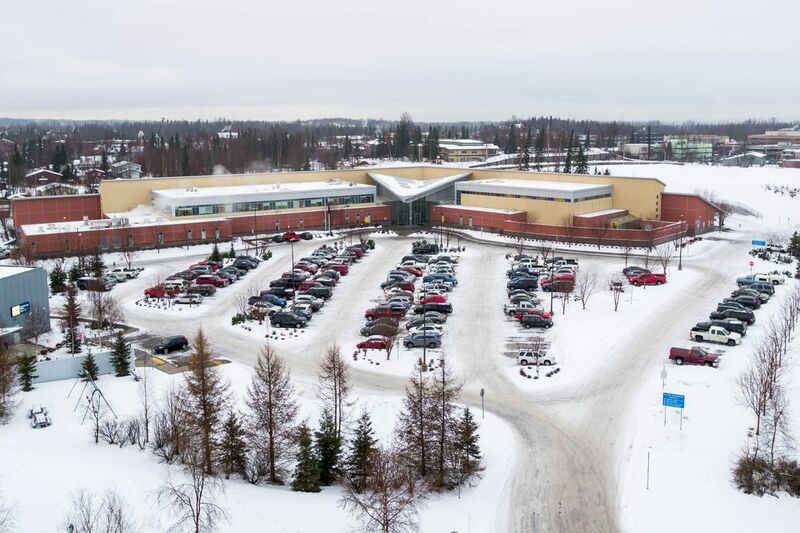 Problems at Alaska’s only public psychiatric hospital have been well-documented. But the report offers the most detailed look yet at incidents in 2017 and 2018 that led the hospital to the brink of regulatory disaster and paved the way for a private takeover of what had been the state’s only public institution for severely mentally ill people. The ombudsman’s report was released to the public Monday. Mirroring many of the findings of federal regulators, the ombudsman’s report offers the most detailed recounting yet of a pattern of dysfunction and abuse within the hospital -- and a window into the problems Wellpath must now contend with. She sat that way for “several minutes” before dressing and wandering back to her room alone, the report found. Later, she was taken for a sexual assault exam at the hospital but was unable to “engage in linear/logical exchange” about what had happened to her. • In July 2018 during what the CEO later termed a “riot” of young patients on a ward for adolescents, a patient’s clavicle was broken while he was being restrained against a wall by a staff member. Video surveillance showed the patient screaming “you broke my f*****g collarbone” at least three times. The nursing assistants held the patient against the wall for three more minutes “despite the cries of pain.” He was strapped to a gurney and wheeled to the seclusion room, where he continued to yell that he was hurt. But no one checked him for injury until more than a half-hour after his bone had been broken, the report said. The ombudsman’s report also found that despite troubling and illegal incidents, “many API healthcare providers ... showed immense compassion for their patients.” They were trying to do the best they could with the resources allowed, the report said. The ombudsman’s office made 11 recommendations, ranging from providing more activities and snacks for patients to keep them occupied to giving API its own human resources department to requiring more detailed record keeping. The report also found that API is hindered by the fact that up to 20 percent of its beds are used by people who shouldn’t be there at all, including elderly people with dementia and adolescents with autism and no other diagnosis. Those people are only at API because there was no “community services to which to discharge them” and should be housed elsewhere, according to the report. The Department of Health and Social Services agreed with six in written responses, and agreed partly with a few more. But the state “expressly limited its commitment to implementing the recommendations,” the report said. The state didn’t commit to making Wellpath follow the recommendations, the report noted.